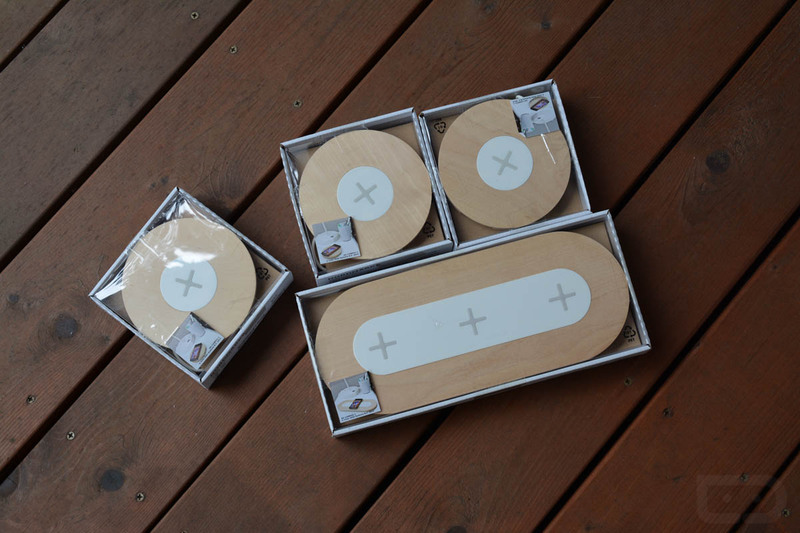 Just before Google I/O, we told you that IKEA had begun selling their series of wireless charging pads, lamps, and other accessories in the US. We also told you that we may or may not have a few to giveaway, which as you can tell from this post, is about to happen. After a quick trip out to the Portland IKEA, we came back with three extra single-spot charging plates (Nordmarke), along with a bigger three-spot charging plate. All will work just fine with your wireless charging-capable device, like a Galaxy S6, Nexus 6, or Nexus 5. They should look quite snazzy in your home as well, since IKEA built these to blend in with furniture, not look like a piece of cheap technology, which I would argue is the approach most wireless charger makers take. We have four in total to giveaway. All you need to do is follow the steps in our Rafflecopter widget below. As always, you can do one or all of the modes of entry – the more you do, the more chances you have to win. Four (4) IKEA wireless chargers to four (4) winners. Three (3) winners will get the single-spot Nordmarke charger, one (1) will get the three-spot Nordmarke charger. Our four (4) winners will be chosen tomorrow, June 2, at 1PM Pacific.